Anders Celsius was a Swedish astronomer who is known for inventing the Celsius temperature scale. Celsius also built the Uppsala Astronomical Observatory in 1740, the oldest astronomical observatory in Sweden. 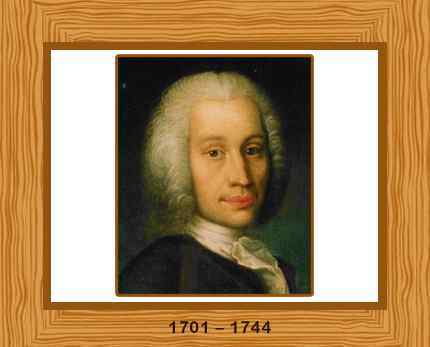 Born in Uppsala, Sweden, in 1701, Anders Celsius was raised a Lutheran. His father, Nils Celsius, was an astronomy professor. Celsius completed his education in his home town; north of Stockholm. He showed an extraordinary talent in mathematics from childhood. He studied at Uppsala University where, like his father, he became a professor of astronomy in 1730. In his efforts to build an astronomical observatory in Sweden, Celsius visited several of the famous European astronomy sites from 1732 to 1734. At that time, English and French astronomers debated about the actual shape of the earth. To resolve this dispute, teams were sent to the “ends” of the world to assess the precise local positions. Pierre Louis de Maupertuis headed the expedition to the north and Celsius joined him as his assistant. The expedition to Lapland, the northernmost part of Sweden, continued from 1736 to 1737. Newton’s theory about the flattening of the earth at the poles was finally confirmed in 1744 after all measurements were taken. Celsius went back to Uppsala after the expedition. He is considered to be the first astronomer to analyze the changes of the earth’s magnetic field during the northern lights and to assess the brightness of stars with measuring tools. At Uppsala Observatory, Celsius favored the division of the temperature scale of a mercury thermometer at an air pressure of 760mm of mercury into 100 divisions or grades. The scale was defined such that 100 centigrade was taken as the freezing point and 0 centigrade was the boiling point of water. This temperature scale was later reversed, creating the Celsius, or centigrade, scale that is used today. Due to the elaborated fixation of the measuring environment and methods, this Celsius scale was thought to be more precise compared to the temperature scales of Gabriel Daniel Fahrenheit (Fahrenheit scale) and Rene-Antoine Ferchault de Réaumur (Réaumur scale). Celsius was an avid admirer of the Gregorian calendar, which was adapted in Sweden in 1753, just nine years after his death. “Degree Celsius”, the unit of temperature interval, was named after this brilliant scientist. Celsius became the secretary of the Royal Society of Sciences in Uppsala in 1725 where he remained until his death. He died of tuberculosis in 1744.